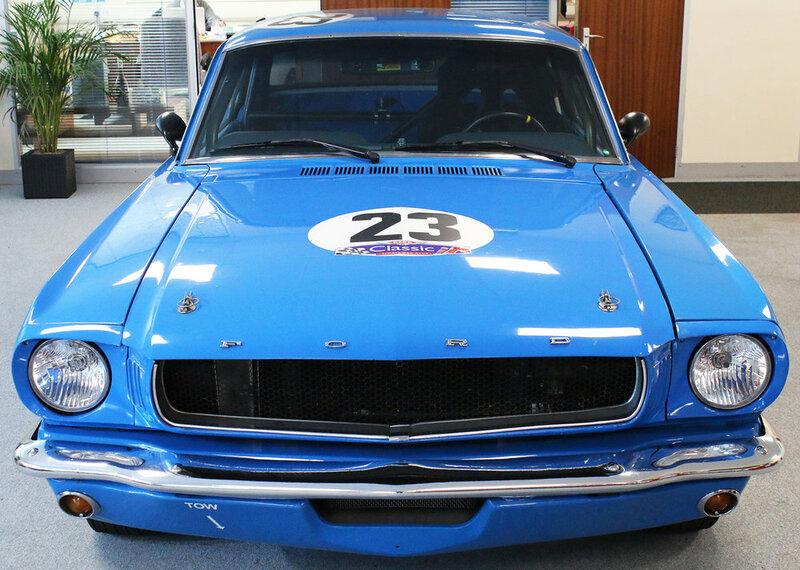 This is a terrific opportunity to buy a fully sorted competitive race car, a copious amount of history and invoices are on file and in the right hands this car would be a front runner in historic racing. 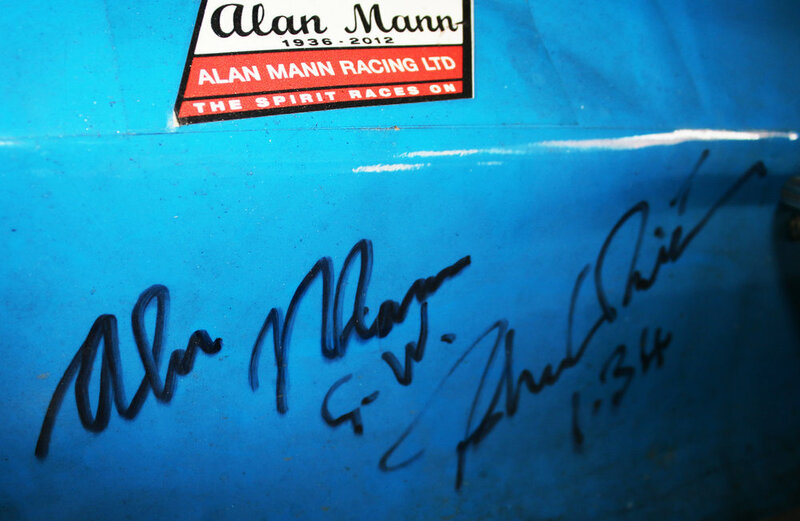 The car was built by Jim Morgan, an ex-Alan Mann Racing team member and noted specialist. Soon after it was built, the car was testing at Goodwood, when Alan Mann and Sir John Whitmore turned up and were offered a few laps in it. Having been absent from motor racing for 30 years, Alan Mann caught the bug again and went and bought himself a Mustang, which he had built the same by Jim Morgan. Whitmore set a then competitive 1.34m lap, and both signed the car afterwards. Two legends from the beginning of Mustang racing history reunited in this car! The engine, newly built to the latest spec by Mathwall Engineering, has only 2 hours running time on it. Dyno sheet is with the car. A good running spares package is included. 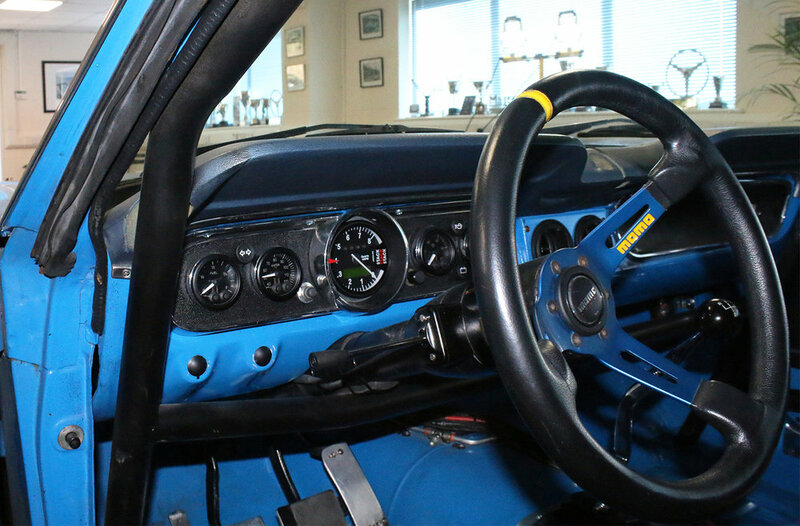 The car has been through an extensive rebuild programme at the Alan Mann Racing facility earlier this year. Works included: significant weight reduction to the homologated weight, new wiring loom, new Andy Robinson roll cage, new Racetech seat and harness, new springs and dampers, new engine, gearbox, clutch, rebuilt differential, new engine bay plumbing, and so on. A wiring loom for a Racekeeper datalogger is present and ready to be connected. The car is completely ready to go. So if you’re looking to go racing in a fully sorted 1965 FIA Mustang with fresh HTP valid until 2027, with fantastic pedigree, look no further.